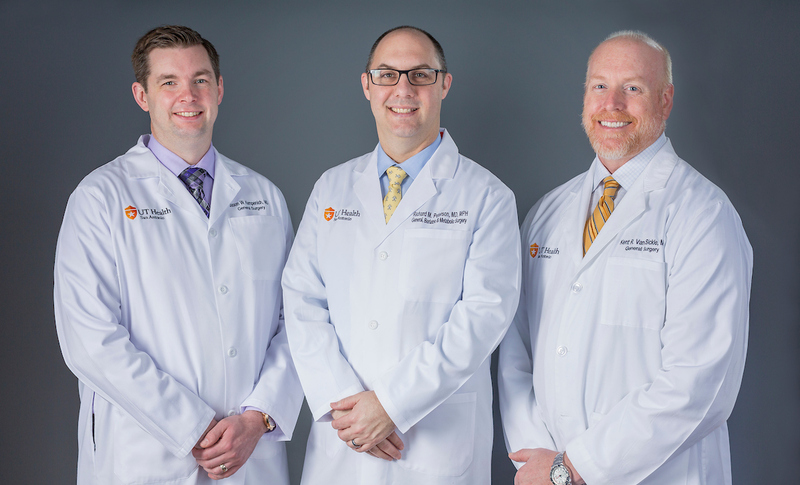 UT Health physicians have performed bariatric surgery since the 1980s, making our highly experienced providers the providers of choice in San Antonio and South Texas. Our board certified, fellowship trained bariatric surgeons help our patients reach their lifelong goals through minimally invasive laparoscopic weight-loss surgery procedures that cause less scarring and faster recovery. We also offer patients guidance on proper nutrition and exercise to help them achieve lifelong health and wellness to live a happier life. Join our weight loss support group. Learn more here. What to expect before your weight loss surgery. Learn more here. To request an appointment with our team, or to make a referral to one of our physicians, please call 210-438-8446.